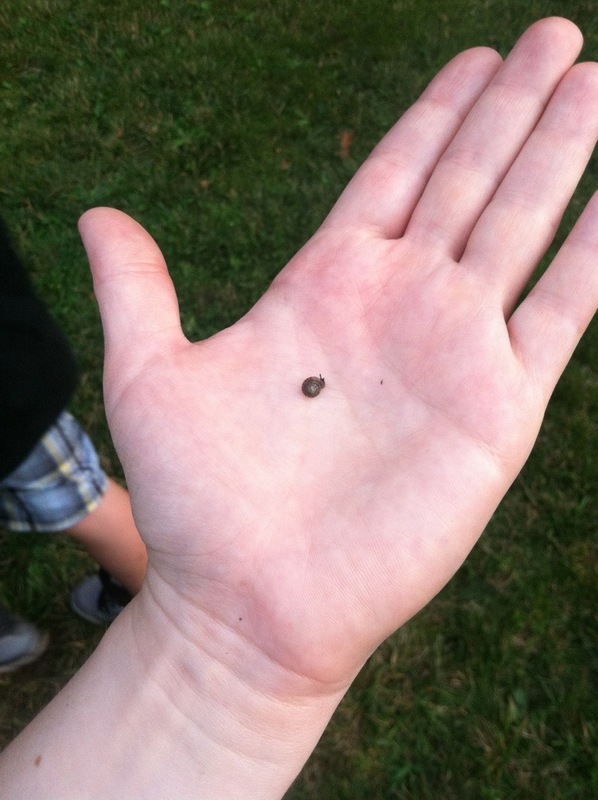 In preparation for his 7th birthday party, Wolverine and I found the tiniest snail we’ve both ever seen. Whoa, I can’t believe anyone actually spotted that! Right? I thought it was a speck of dirt!